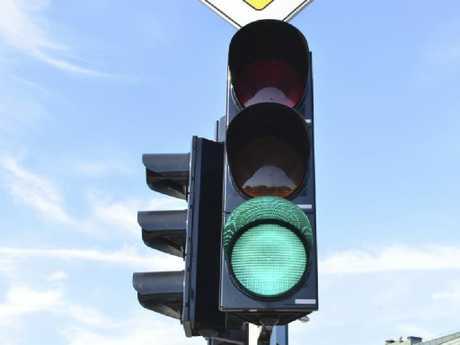 The RACQ has revealed a trick that could help turn traffic lights green. DRIVERS know how frustrating it can be when you have to be somewhere but you seem to be getting every single red light along the way. Well, there may be a secret trick that can help you speed up the process and get a smoother run next time after Queensland's peak motoring body spilt on some traffic light secrets. Knowing how to activate the "sweet spot" at signalised intersections and trigger a green light can save motorists time and fuel. 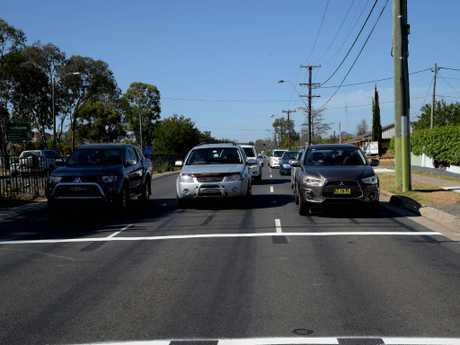 The majority of signalised intersections in Australia use an operating system called SCATS that optimised traffic flow by using sensors to detect the presence of vehicles in each lane. There is a trick to making your trip through traffic lights a lot faster. 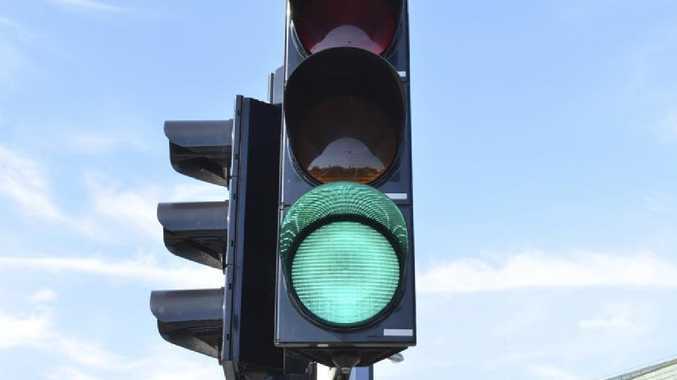 Where drivers position their vehicles is the key to getting a red light to change to a green light in the fastest time possible, Royal Automobile Club of Queensland (RACQ) head of technical and safety Steve Spalding revealed. "Wire loops are embedded in cuts in the road and detect when a vehicle is above and signal when the lights are to change. Vehicles that sit directly above the cuts trigger the lights better than those that sit outside of them," Mr Spalding said. "Basically, the loops are trying to detect metal so it can be harder for motorcycles to get picked up." Being too far back from the white line can result in your car not being detected and a longer wait time. Stopping too far behind the white line may mean your car isn't detected by the system and could increase the time you are left waiting. A vehicle needs to be stopped directly behind the white line to be over the loop and be detected. Leaving large gaps between vehicles may also affect how quickly you get through the intersection. Mr Spalding said having cars too far apart could delay the change time. "The more metal the loops can detect, the greater chance a driver has of being able to sway the phasing of the lights," he said. "It's also important for motorists to maintain a steady flow of traffic as they travel through intersections so other drivers in the queue have a better chance of making it through on the green."